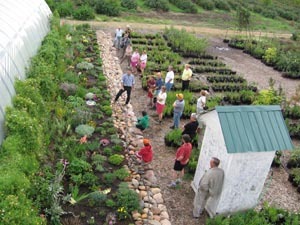 Mr. V's offers a one hour tour of 11 different show gardens illustrating in great detail a wide range of landscape design and construction techniques. 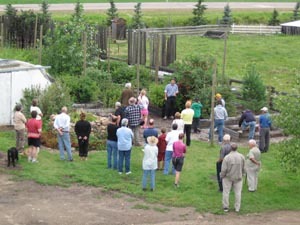 The tours are free and given every Saturday weather permitting) at 2:00pm in July and August followed by afternoon tea in the Centennial Rose Garden (Cost of tea and coffee is extra). 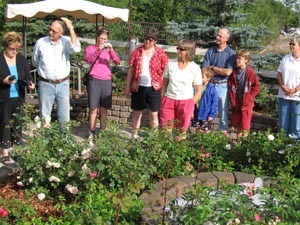 The same tour can be given at other times for gardening and horticulture clubs at a nominal cost that includes tea coffee and a question-answer period in the Centennial Rose Garden.